it is my goal to have some finished jackets for sale in the booth this year – course, wouldn’t mind selling some ahead of time either! 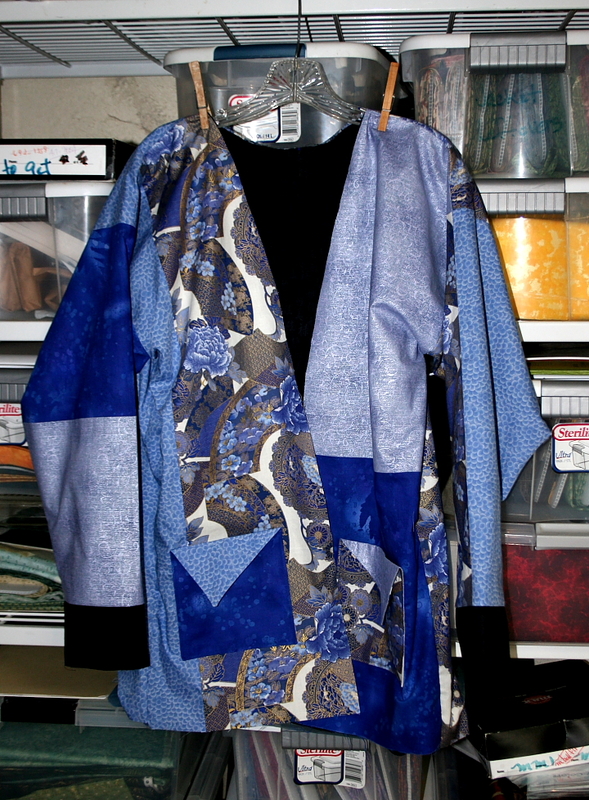 ^_^ these two are ready for the final phase – the adding of the trim/neck piece and ‘hemming’/top stitching. 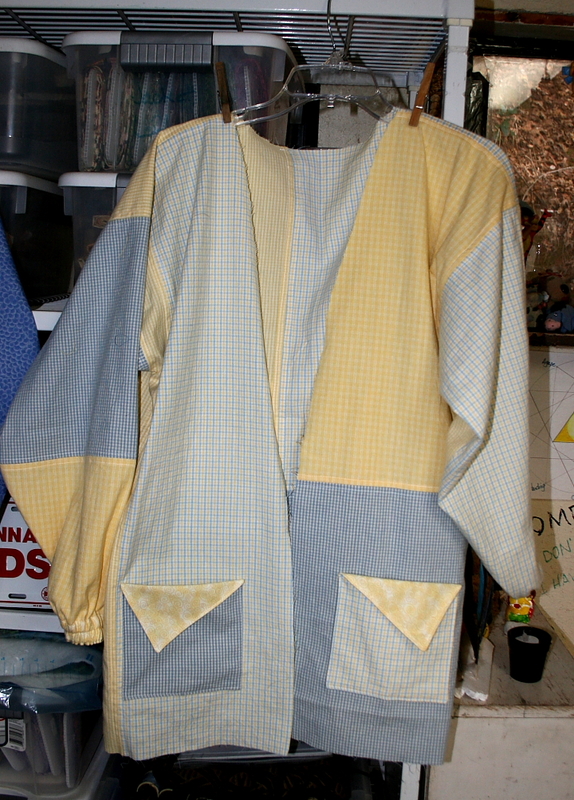 the blue & yellow one is ‘flannel’ and the blue one is reversible, with black on the other side as well as the trim. i have fabric for 2 more of the flannel ones – not sure i can come up with enough fabric on hand for another reversible. i had several sets at one time and sold all but this one as such. sure wish there weren’t Christmas between now and the next show!